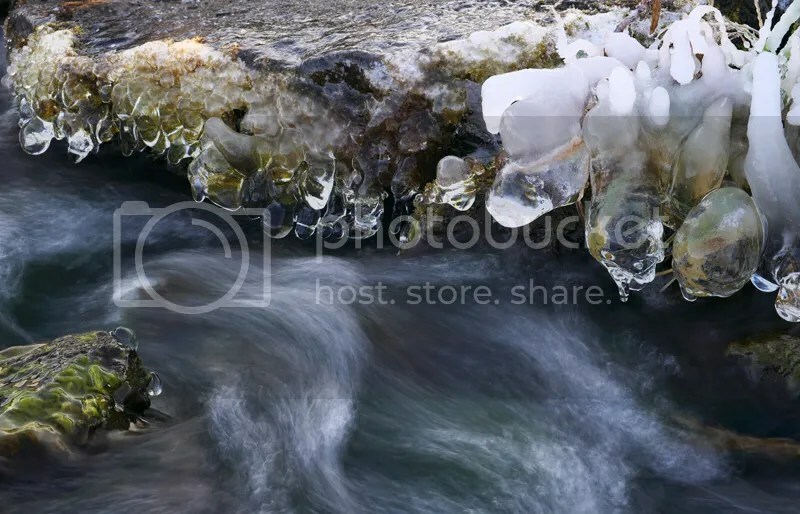 I went to a frozen river to play around with an old lens, my Soligor C/D 80-200mm/3.5. I finally got that shot with a 1 second exposure at f/9.5. I took this week photo along a river that is on my way to my work, i had about 30 minutes to find a subject and get a good shot. I finally found that moss covered rock with the river in the background. Fuji X-E1 with XF 55-200mm with tripod. The Rouge River, another beautiful autumn morning. For some years now, i like to take a day off to drive the dirt road along the Rouge River in Grenville-sur-La-Rouge to photograph the colorful autumn display ! The night was cold (around 1 °C), clear and with calm winds, so everything was set for a good foggy morning over the river. I woke-up early since it’s a little more than an 1 hour drive from my home and arrived at least 45 minutes before sunrise. 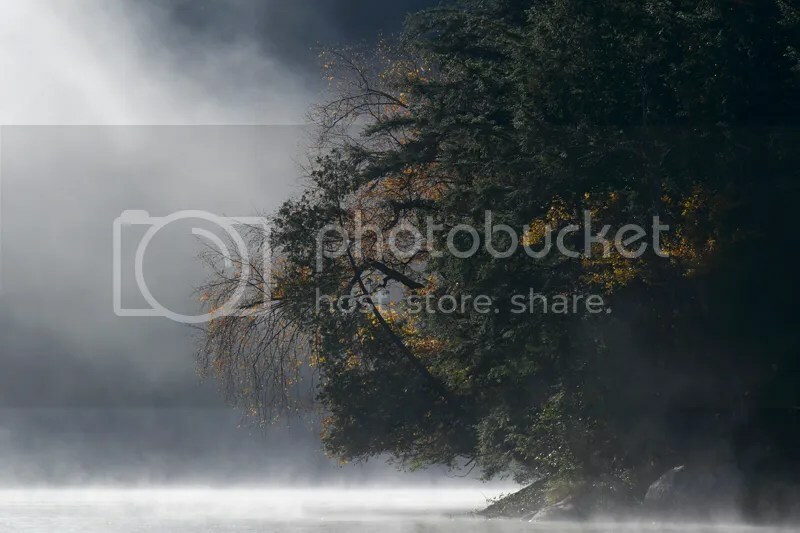 The fog was very thick, at times i couldn’t see the shore on the other side of the river. Fuji X-E1, XF 55-200mm, tripod. 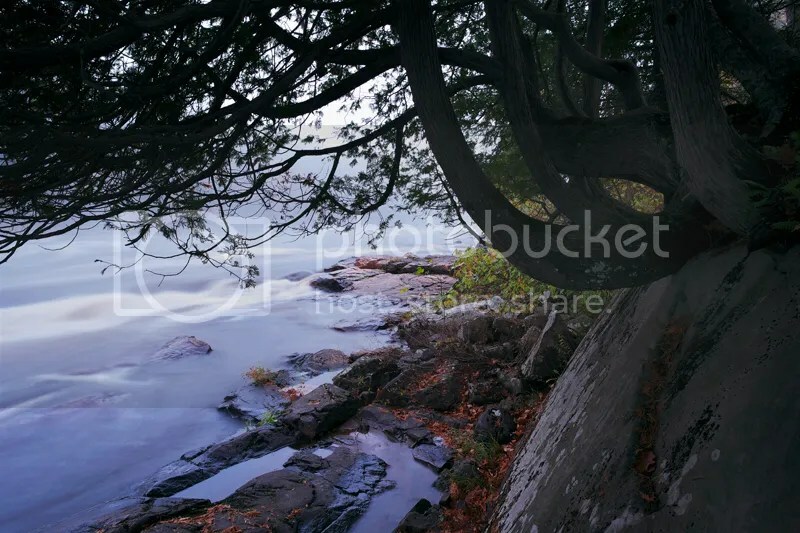 The light level was very low, i liked the trees hanging on the rocky shore. Fuji X-E1, XF 14mm, tripod. 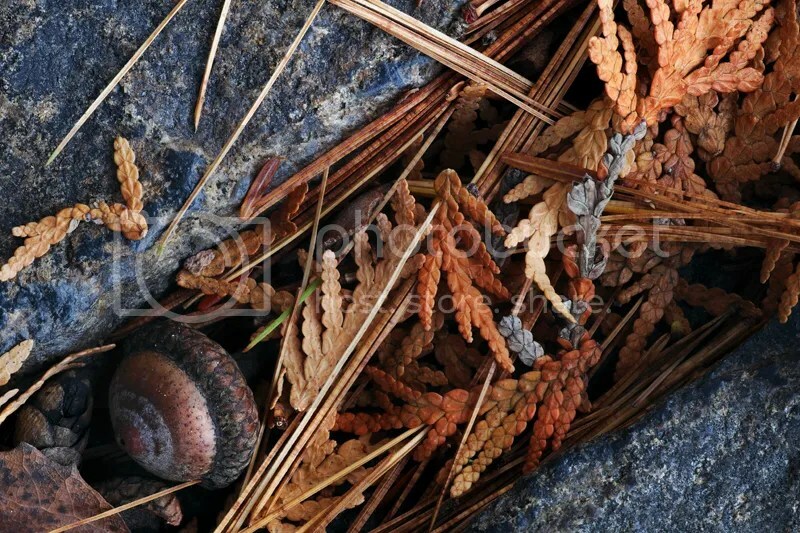 Close-up of an Oak Tree seed amongst Cedar leaves and Pine needles in a rock crevice. Fuji X-E1, Tamron 90mm/2.8 Macro, tripod. 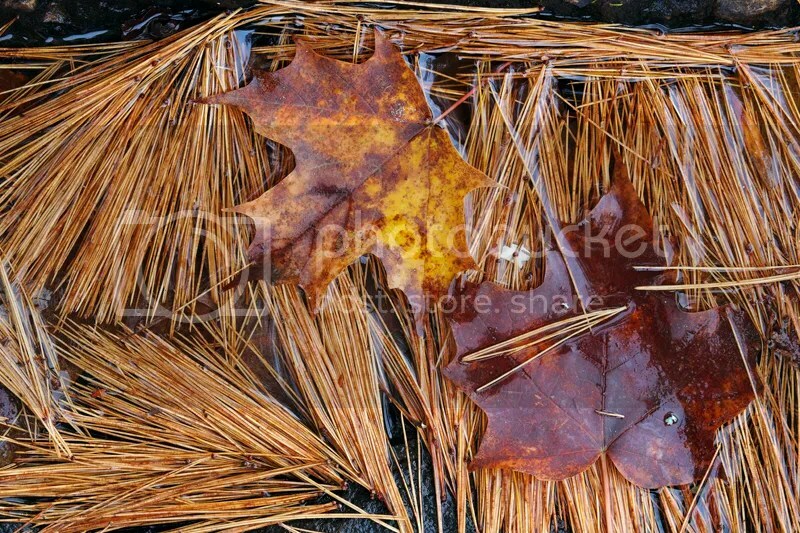 I always look on the ground for interesting subjects, i saw that there was a lot of Pine needles on the ground, so i looked around to find something and finally found those 2 Maple Tree leaves on needles in a shallow waterhole. Fuji X-E1, XF 55-200mm, tripod. 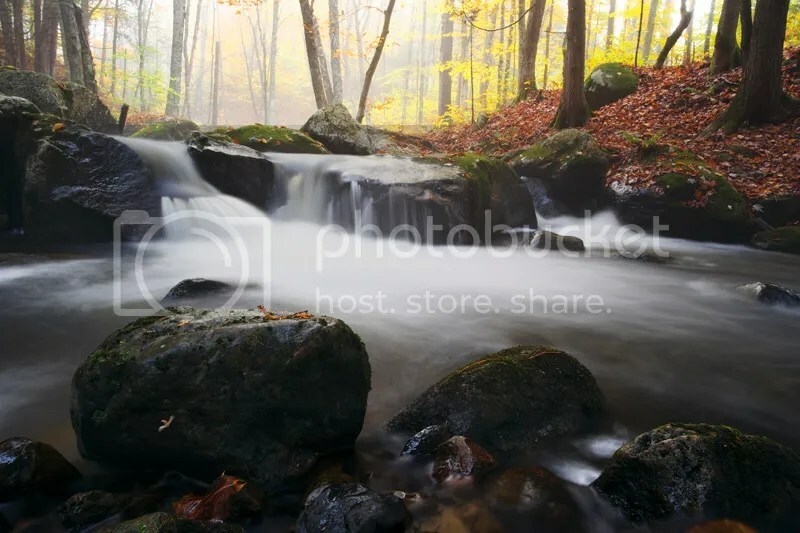 Along the road small rivers comes down from the mountains to finish in the Rouge river, i always stop at one of them for more intimate landscape of a river running in a forested area as well as some close-ups of leaves on rocks. 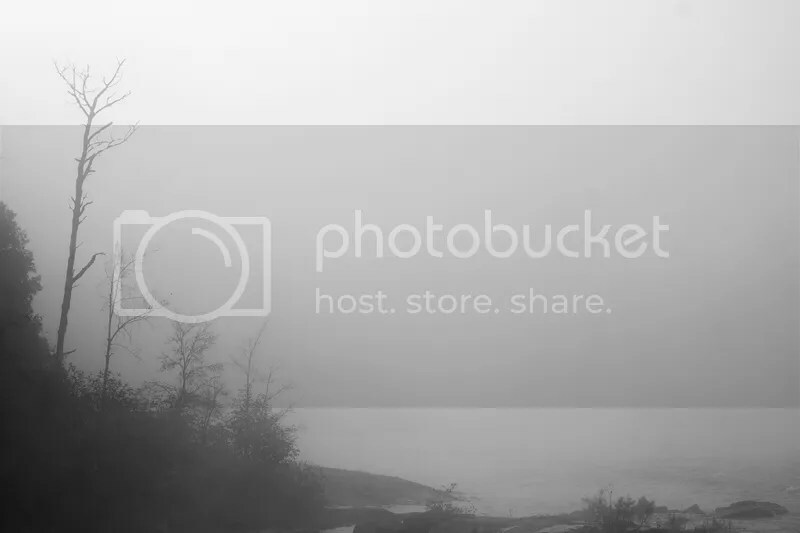 As you can see in the forest in the background, fog was also present in the forest. Fuji X-E1, XF 14mm, tripod, Polariser. 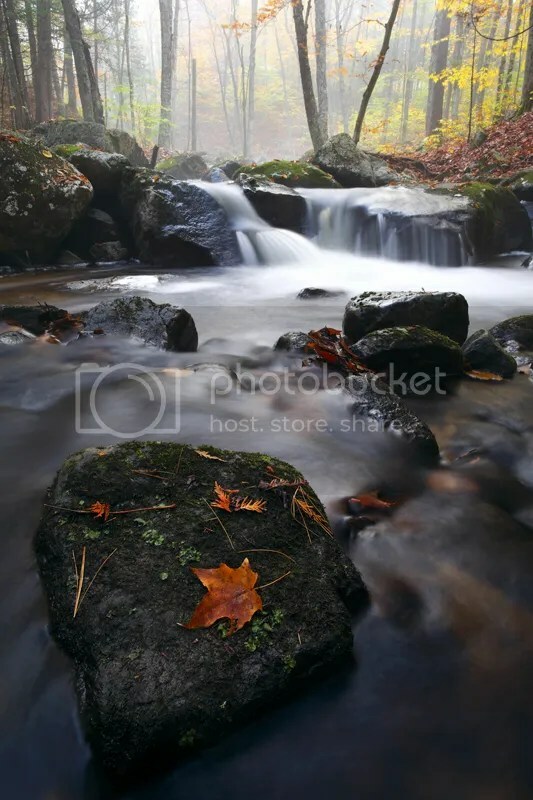 A vertical version of the same scene but this time i put a rock covered with leaves and Pine needles. Fuji X-E1, XF 14mm, Tripod, Polariser. 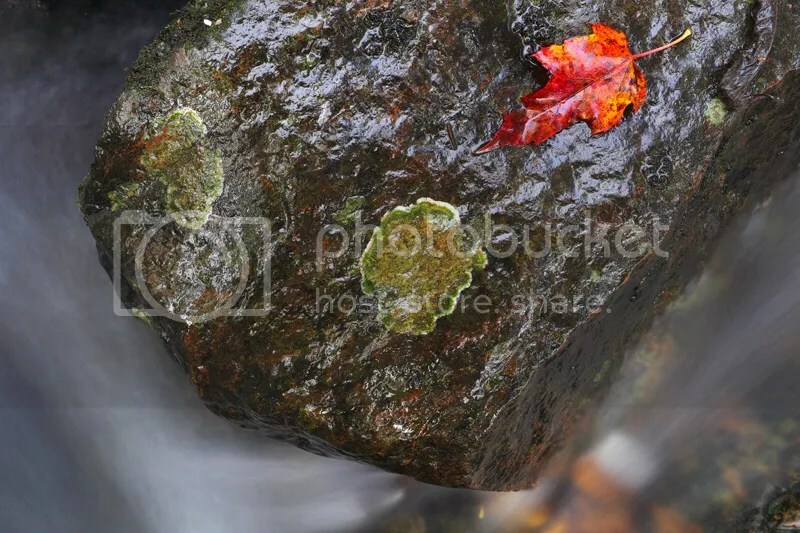 One of the thing i like to do in autumn is to explore the wet rocks in the river to find colorful fallen leaves. The rocks are very slippery, so you have to be careful while walking on them but it’s worth the risk. 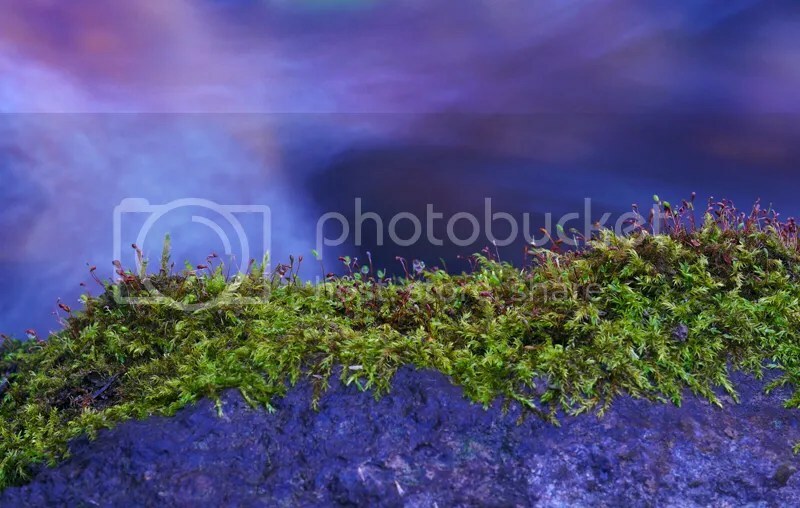 When setting a tripod in the flowing water you need to raise the ISO to get a faster shutter speed because the water causes vibration and your shots will be blurred. Fuji X-E1, XF 18-55mm, Tripod, Polariser. Here the fog was very thick, i decided to do a B&W conversion since the color version looked almost B&W anyway. Fuji X-E1, XF 55-200mm, tripod. As the sun got higher the atmosphere became warmer and the fog started to evaporate, from now on i had to shoot quickly before all the fog would dissipates. The sun came out and the fog was quickly evaporating. Fuji X-E1, XF 55-200mm, tripod. 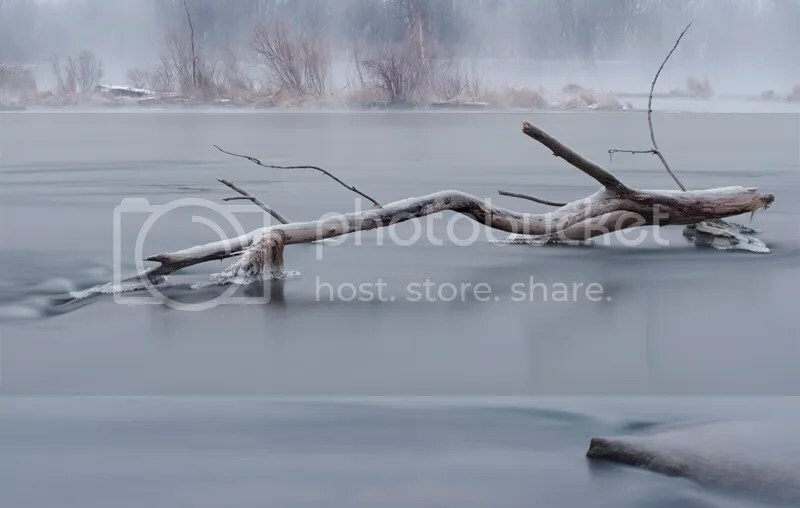 The fog is almost all gone, after i finished shooting those Aspen trees and got back to my truck it was completely gone. Fuji X-E1, XF 55-200mm, tripod. After the Aspen photo i decided to head back to the small river in the forest to see if i could get some Macro and close-up shots of small subjects. 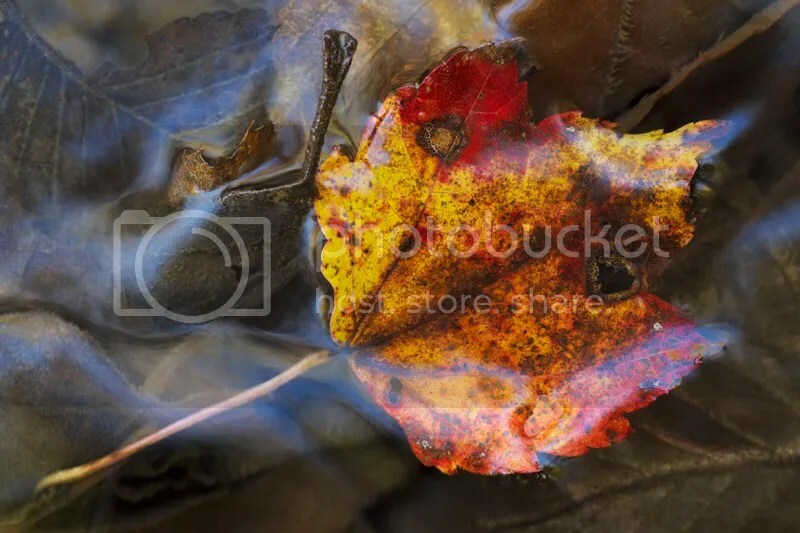 There was many red Maple leaves fallen in a secondary shallow channel of the river, after some not so good photos i finally found a good composition. I didn’t use my Polariser here because i wanted the fastest shutter speed and also keeping the reflections on the flowing water. Fuji X-E1, Tamron 90mm/2.8 Macro, Tripod. 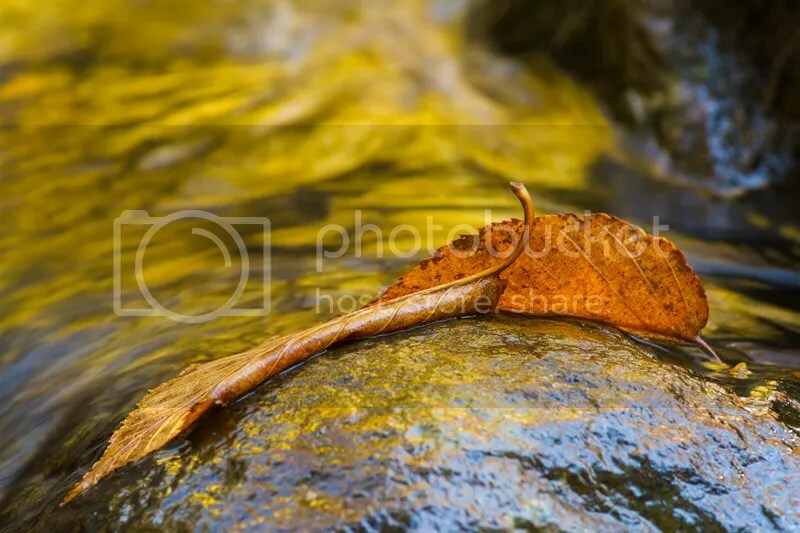 My last composition of the day, 2 dead leaves on a rock with reflected yellow trees on the water in the background. I had some difficulties positioning myself and my tripod to get that one, water got into my knee high rubber boot ….. that water was so cold ! Canon 7D, 400mm/5.6L, a 20mm extension tube, tripod. 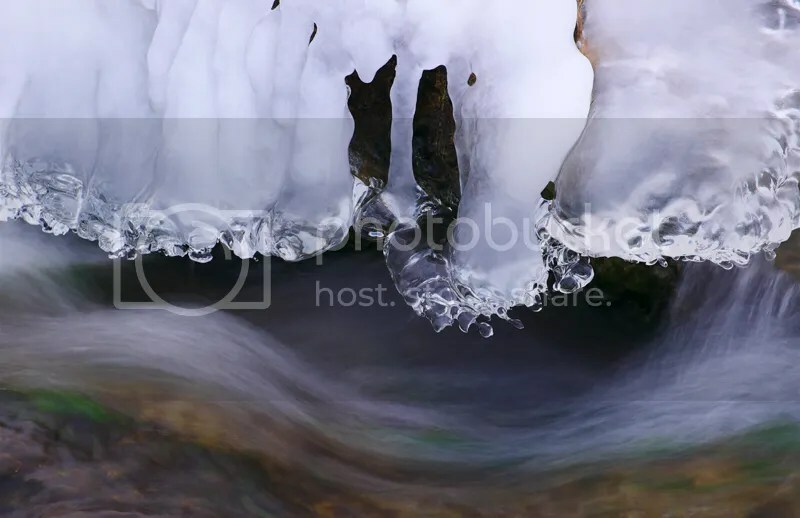 This was a fun and productive 5 hours photo session, i will go back for sure next autumn, i might go back in November when there is no snow but it’s cold enough that ice will have formed in the rivers making for new interesting subjects ! 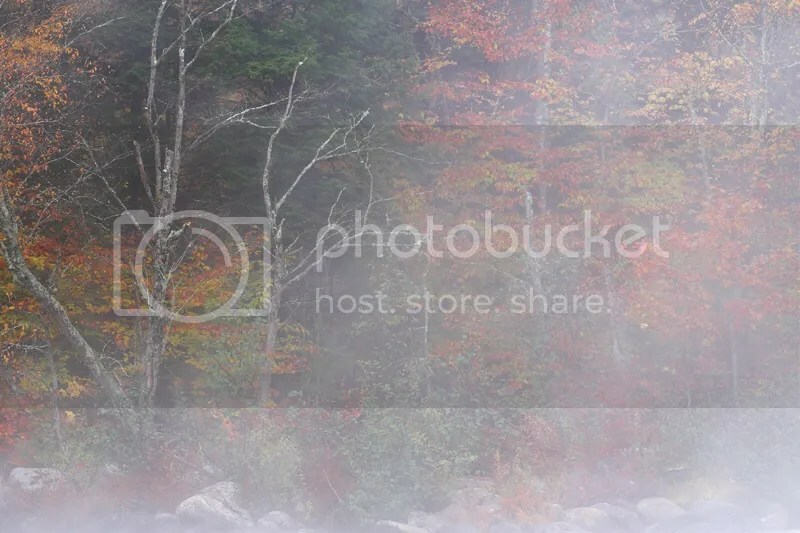 This week i’m posting a landscape photo that i took this week on my way to work. I knew that there would be some fog over the St-Lawrence river since it was -26C when i woke-up. Electrical Pylons in the fog at sunrise along the St-Lawrence river. 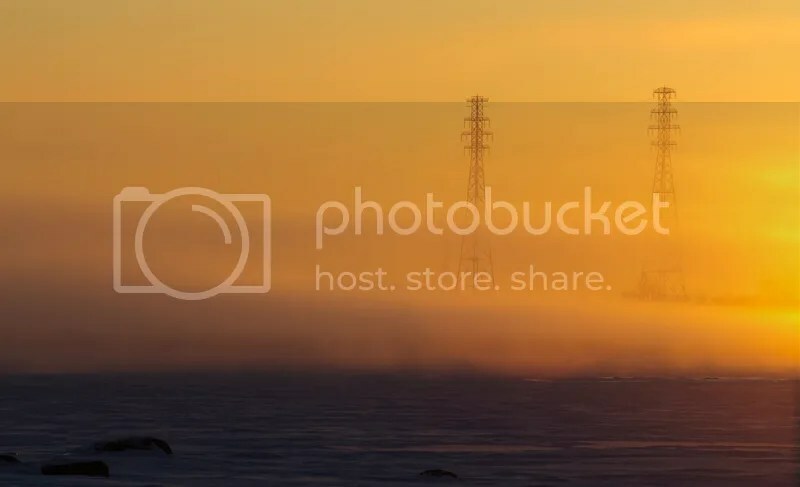 By the end of this week the temperatures finally dropped, Friday and Saturday mornings were colder, it was around -15C and there was fog all over the St-Lawrence river. So i was on the shore of the St-Lawrence river before sunrise Saturday morning hoping to get some shots with the fog. Here is my favorite of that morning, i obtained the effect on the water with a long exposure of 15 seconds at f/11, ISO 250, tripod.